This second part of our three-part series on slope stability builds on our discussion of failure features, mechanics and triggering factors with guidelines for qualifying risk, identifying geotechnical needs, and responding to and preventing failures. Susceptibility to and evidence of failure is not always apparent, even to a trained eye. Unfortunately, sites and projects that may not otherwise be at risk to failure are ultimately impacted by failure because that understanding and appreciation are discounted or written off (“I can’t imagine what could go wrong here!”). Differing experiences and interests among stakeholders – municipalities, agencies, land owners, developers, consultants and other influencers – also risk deflecting attention away from potential risks (some of these stakeholders may also be reluctant to face those risks). While you can’t control how others approach the issue, you can control how you approach it, and how others respond to it, with some geotechnical perspective. Geomorphic setting, including site and surrounding topography, geology, drainage, and historic site use. Project drivers, which offer much to think over, including: composition and quality of proposed foundation; cut, filled and retained materials; surface drainage and groundwater conditions; extent of cuts, fills, and structure loads; and stability and performance requirements (required factor of safety, allowable settlement, etc). Failure mechanisms, including deep-seated and shallow failures, debris flow or simple erosion. While you may not have any training or experience with this geotechnical content, the words themselves should trigger some intuitive thoughts on the factors that combine to precipitate a slope failure. Most importantly, keep in mind that the things you need to consider and look for are not restricted to your project or project site boundaries! 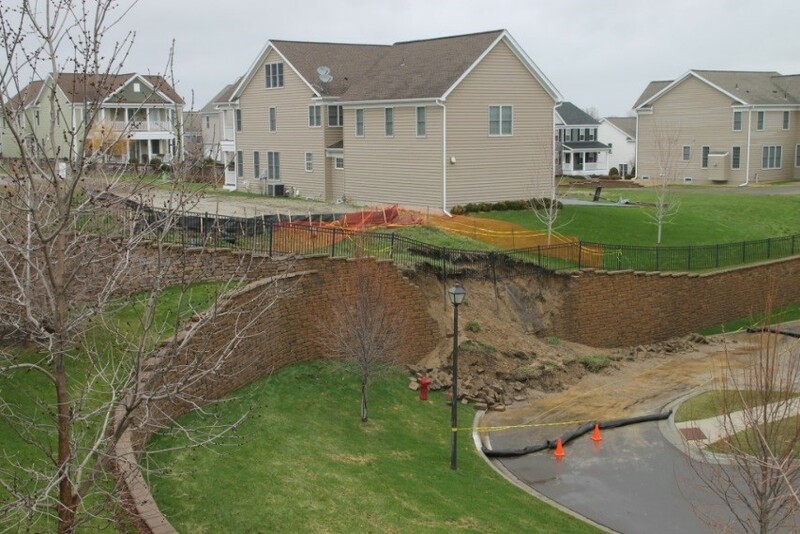 If, despite sound planning, design and construction, your site/project is impacted by a slope failure, you should have two plans – one for response and short-term triage, and a second for stabilization, repair or reconstruction. 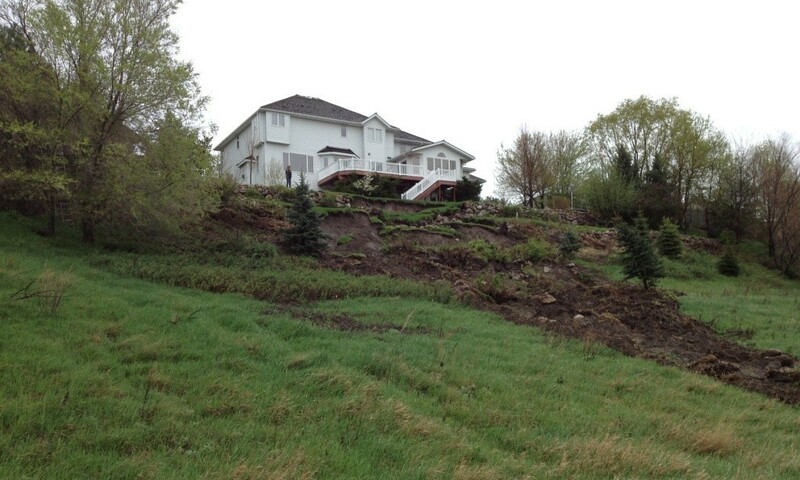 The hard and costly work of clearing debris, engaging consultants and contractors, and stabilizing or rebuilding a slope will always be waiting. In the meantime, however, safety should be your primary concern. Hopefully the right help is only a call (or a few calls) away, but all responders should focus first on continued risks to the public. People should be kept well away and stay away from visible or suspected failure limits, and from structures impacted by the failure; there may be unstable earth masses or structures that have not failed but are at risk of failure. In addition to a geotechnical engineer and/or geologist, you may need a structural engineer to examine buildings or walls, a city/county engineer or public works representative to examine impacted infrastructure, etc. There’s no harm in contacting local law enforcement to assist in site security and control, either. As you take stock of the situation, you’ll want to engage consultants to perform their preliminary assessment and develop investigation programs to gather information needed for stabilization or reconstruction. You’ll also want to engage contractors to assist in the cleanup, contact relevant relief agencies, and maybe determine if public or agency liaisons are required to translate the findings to all parties involved in the investigation and mitigation activities. Looking ahead with the proper perspective will hopefully limit the number of times you’ll find yourself dealing with a slope failure. Knowledge is key to prevention, and that knowledge can be leveraged in many ways, including: staying away from unstable or potentially unstable areas (avoidance), designing and building to mitigate known or suspected failure risks (planning), as well as establishing or following guidelines that control how sites at risk of failure are approached (regulation). Effective plan or regulatory elements include hazard assessments, setback zoning, design and construction guidelines, and agency coordination. Small investments in advance of design and especially construction could yield orders-of-magnitude savings in terms of prevention. Feeling educated but a bit bewildered? Don’t worry – our final installment on this topic will give you the low-down on what tools we can bring to bear on your next project, whether in anticipation of potential slope failure, or in response to a slope failure. Watch our blog for the third and final post in our three-part series on slope stability coming soon!